There’s a good chance you’ve heard of “PRP” treatments, otherwise known as platelet rich plasma therapy. PRP uses your own body’s proteins to speed up healing and rejuvenation of the skin. When used in conjunction with other types of natural processes, it helps to stimulate faster production of collagen and elastin — both of which are essential for firmer, smoother tissue. PRP therapy is nothing new. It’s been made popular by top athletes in repairing musculoskeletal injuries, and by celebrities in facial procedures that use tag lines with the word “vampire” in them. 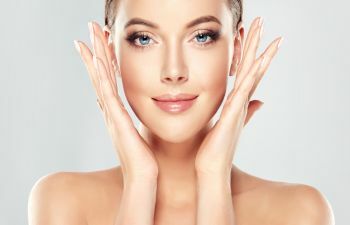 But PRP really does work, and occuloplastic specialist Dr. Kami Parsa is a true believer in how effective this treatment is to improve the outcome of the other services we offer in our Beverly Hills practice. Micro-needling uses tiny, sterile needles to gently puncture the outer layer of your skin, triggering elastin and collagen growth in the area where it’s used. It can also help your body absorb products such as moisturizers or PRP. While the name might scare you, micro-needling isn’t painful. And when you can feel confident about how quickly it speeds up your body’s ability to heal acne scars or smooth out fine lines across your face, any minimal irritation seems hardly noticeable. We do have numbing jelly that can be used, if you have particularly sensitive skin.